Learned Ayurveda & Yoga Basic Lessons from Uncle Dr. N.N Devan Nampoothiri. Learned Advanced texts in Vedantha under Mahamahopadhyaya Dr. V. Swaminatha Sastrikal (Preisdent Awardee) for 5 years. Participated in Vakyartha Sadas and Performed Vakyarthas in several topics, All over India inclusingeri Ganapathi Vakyartha Sadas. Vidwat Sadas at Kancheepuram, Sankara Mutt. Sree Subrahmanya Vakyartha Sabha, Pune. Vakyartha Sadas at Govt. Sanskrit College, Tripunithura. 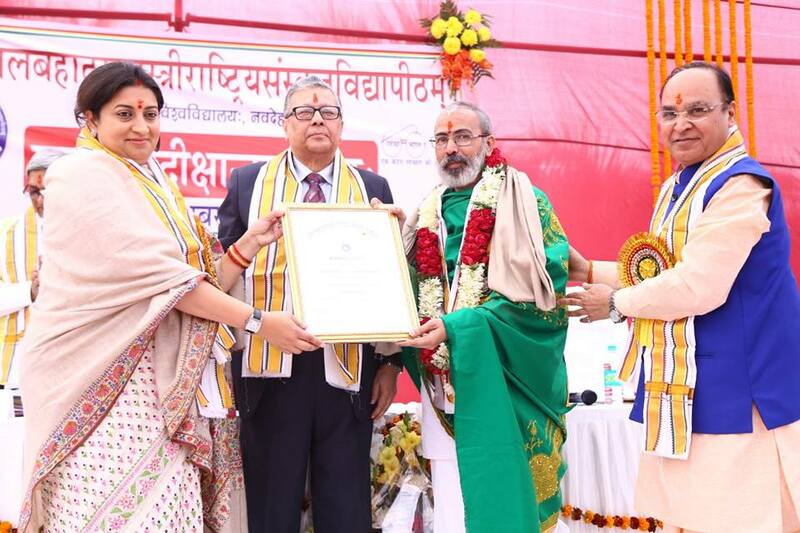 Sree Sankaracharya Univ Vedic Studies National Vidwat Sadas. Published Many Write—ups in Periodicals and Fortnightlys. Paper On ‘Upakramadilinganam that Arya Nirnayakathwam’ at LBS, New Delhi on 17th Jan 2012. Paper On ‘Antha: Karanavrithe: Chituparagarthathwam’ at BHU, Varanasi on 4th Sept 2013. Paper On ‘Samnvayadhikaranasameekshanam’ at RSS, Guruvayur Campus On 5th April 2013. Paper On ‘Influence of Navya Nyaya in Mimasa’ at Sree Sankaracharya Univ Reg Centre Trivandrum on 29th January 2014. Paper On ‘Brahmasuthreshu Jaganmithyathwavichara<,strong>’ at RajivGandhi Campus, RSS, Sringeri on 26th March 2014. Paper On ‘Vedantha Sastrasya Utpathivikasaw’ at Govt College, Trivandrum at 7th April 2010. Paper On ‘Motif Of Rituals According To Purva Mimamsa’ organized By ‘Kadavallur Anyonya Parishad’ at Sree Ramaswami Temple, Kadavallur, Trichur on 15th November 2012. Paper On ‘Object-controlled Nature of Cognition according to Vedantha’ at SNGS, Pattambi on 8th December 2011. Paper On ‘Vedanthasastre Yajnanam Prasakthi:’ at RSVP, Tirupati on 26th March 2012. Paper On ‘Visishtadwaite Bhakthiswaroopam’ at Sree Sankaracharya Univ Of Sanskrit, Kalady on 22nd March 2012. Paper On ‘Mimamsakas and vedantins on Vedas’ organized By ‘Koodalmanikyam devaswom’ at Koodalmanikyam Temle at Irinjalakuda on 25th Jan 2009. Paper On ‘Nature of Bhakti in Advaitha Schools of Thought’ at Sree Sankaracharya Univ of Sanskrit, Kalady on 11th March 2010. Paper On ‘Vedarthavyakhyane Mimamsakadrishti:’ at Univ of Calicut on 17th Dec 2008. Paper On ‘Gurukula System Of Education’ at Sree Sankara College, Kalady on 19th Sept 2014.